The transformation of Ligoniel dams from a forgotten remnant of Belfast’s linen industry into one of the most beautiful recreation areas in the city is almost complete and a shining example of how a community can impact how an area is regenerated. That’s the opinion of Damien McCallin from Ligoniel Improvement Association who has been one of the main liaisons between the community and statutory agencies which have backed the project with significant funding. 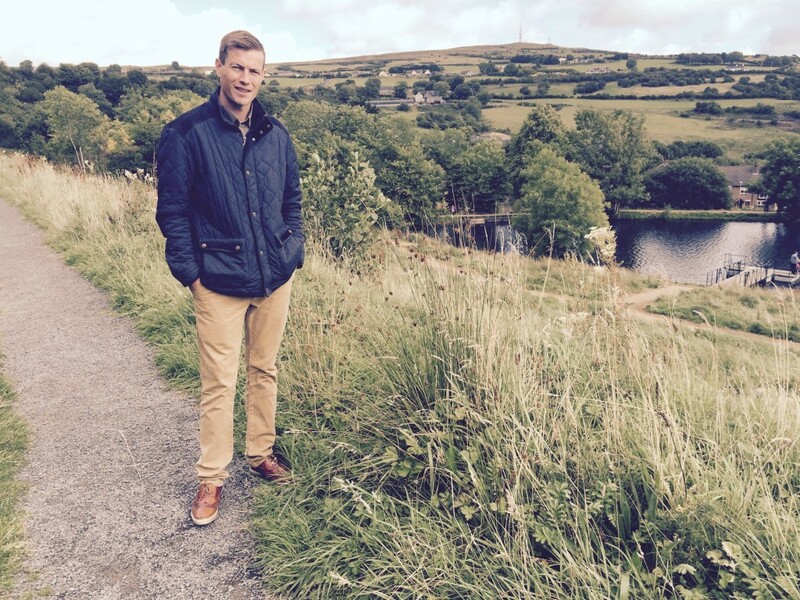 As Environment and Recreation Officer based in the Wolfhill Centre, Damien spends almost every day at the dams, taking young people on nature walks and working to foster within them a love for outdoor activities. In the past five years he has seen a large amount of funding ploughed into the area from a range of statutory agencies that has allowed the area to take its place alongside Cave Hill and Divis as a jewel in the crown of the wider Belfast Hills. But Damien says his job has only been made possible because of the decades of effort put in by local people in previous years. Tom passed away in 2012 and didn’t live to see his dream realised, but Damien says the achievements made since then will keep his legacy alive. “When Tom started a lot of this was owned by developers and the dams were just leftovers from the factories that used to be here. Back in the 1800s the Forth River was diverted to create the dams which were used to power the machinery in the linen mills and corn mills that used to operate here. The dams were always used by local people for recreation but a lack of proper paths and infrastructure limited the accessibility. That changed thanks to funding from the Department for Social Development and the Department of Culture, Arts and Leisure. Central to the transformation has been the local fishing club. The club has always fished the dams so when plans were drawn up to apply for funding for improvements they were included in every development. “All this work is done to support the local community,” says Damien. “Take the fishing, for example. When the Department for Social Development agreed to fund our developments we went in with a wish list of what we wanted. They came back and agreed but when we showed the fishermen the final plans they were able to tell us that the six floating fishing platforms we had requested were too many, and that could be reduced down to two. Damien says they are not finished with the site and are drawing up plans to turn an old corn mill structure into an interpretative centre. They are also exploring ways to link Ligoniel to Divis and Black Mountain, but this is only at the planning stage, he says. For now, the fact they have been able to bring the site to the current level is something worth celebrating. As jobs go, Damien reckons there are few people who are happier in their day to day employment. “When I saw the job description I couldn’t believe it. It was everything I would have wanted in a job and to get it was amazing.